Sometimes you may see an unforeseen flashing light in one or both eyes, without an accompanying external source such as a bright light. If you do experience this, you need to know that flashes (in addition to floaters, another typical symptom) are in fact relatively typical and might not need any immediate medical treatment. 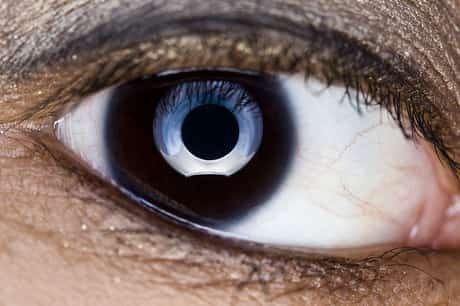 Eye floaters appear as small spots that drift through your field of vision. Floaters are little specks or clouds relocating your field of view. You might see them more clearly when taking a look at a plain background, such as a blank wall. Floaters are in fact tiny clumps of gel or cells inside the vitreous, the clear jelly-like fluid that fills the within your eye. Floaters can have various shapes, such as little dots, circles, lines, clouds, or cobwebs. Though these items appear like they remain in front of your eye, they are actually floating inside of it. What you see are the shadows they cast on the retina, the nerve layer at the back of the eye that senses light and enables you to see. When individuals reach midlife, the vitreous gel might begin to thicken or shrink, forming clumps or strands inside the eye. Floaters often occur when the vitreous gel pulls away from the back wall of the eye, triggering a posterior vitreous detachment. In some cases, the retina can tear as the diminishing vitreous gel pulls away from the wall of the eye. A ripped retina is always a major issue, since it can cause a retinal detachment. The look of floaters might be alarming, particularly if they establish unexpectedly. You should see an eye doctor right now if you all of a sudden establish new floaters. Flashes of light in your vision come from inside your eye or brain. They are not caused by lights or anything else outside of your body. These flashes of light can appear off and on for numerous weeks or months. As we age, it is more common to experience flashes. If you observe the unexpected appearance of flashes, you should visit your ophthalmologist instantly since it could indicate that the retina has been torn. One new, large floater or “showers” of floaters appear suddenly. You see abrupt flashes of light, especially if these flashes are relentless. You see other symptoms, such as the loss of side vision or if it appears a shade or curtain is being drawn over your field of vision. Floaters and flashes end up being more typical as we age. While not all floaters and flashes are severe, you should constantly have a medical eye assessment by an eye doctor to make sure there has been no damage to your retina. Floaters can be triggered by normal aging of the eye when the vitreous jelly begins to diminish. Other causes of floaters consist of the abrupt release of blood cells from the retinal blood vessels or pigmented cells from underneath the retina into the vitreous jelly. This can accompany the tearing of the retina. It is not constantly possible to distinguish between the causes of new floaters in the eye, which is why it is important to have an instant ophthalmologic evaluation to try to find retinal holes or tears. Aging is a large risk element for new floaters. People who are very nearsighted (high myopes) are at higher threat of establishing floaters previously in life and are also at a higher danger of a retinal tear or detachment. Inflammation inside the eye (uveitis) and recent intraocular surgery are likewise risk factors for developing floaters in the eye. The majority of causes of new floaters and flashes can be identified through a scientific examination by an ophthalmologist. 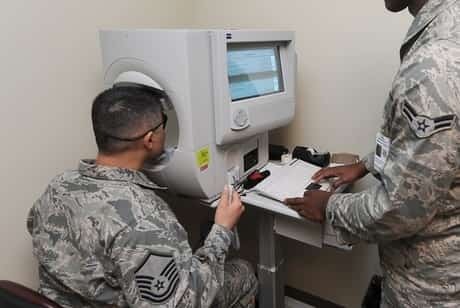 If the cause of the symptoms is not seen during a scientific exam, your eye doctor might buy additional testing, such as an ultrasound of the eye. The treatment for floaters and flashes depends upon the underlying condition. While not all floaters and flashes are major, you must always have a medical eye assessment by an ophthalmologist to make sure there has been no damage to your retina. While some floaters may remain in your vision, a lot of them will fade in time and end up being less irritating. Even if you have had some floaters for years, you should have an eye examination instantly if you see new ones. There is no particular treatment for separation of the vitreous gel from the retina although laser or freezing therapy or surgery may be needed for retinal tears. Flashes can occur on their own or with floaters. They look like lights or lightning streaks and are typically more noticeable at night or in dark environments. They are usually caused by a ‘pulling’ of the vitreous gel at the back of the eye. This can be a harmless event, however you need to see your eye doctor for a check-up to dismiss anything more severe. If you see flashes all of a sudden and in a higher amount than usual, you need to definitely see your eye doctor or doctor instantly. 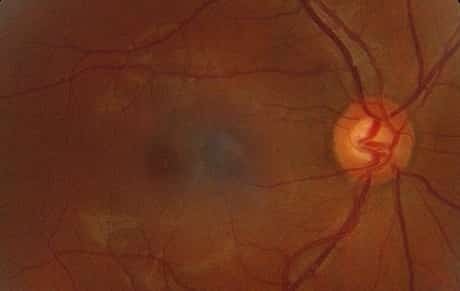 An unexpected and indescribable rise of these types of flashes can suggest the vitreous fluid inside your eye is retreating from the retina, the light-sensitive layer at the back of the eye. This increases the threat of the retina itself becoming detached or torn away from the inner area of the eye, which implies your vision will be affected. In this case it is crucial to look for help right away, as the earlier a retinal tear is detected, the better the opportunity of it being reattached effectively. At other times, seeing a flash of light can also be a typical incident after getting a significant injury to the head area – likewise referred to as ‘seeing stars’. On the other hand, if your flashes appear more like jagged lines or heat waves and last for between 10 and 20 minutes, the cause is generally credited to migraines. If you are fretted about seeing flashes in one eye, it’s best to consult your eye doctor to find out more.